Since Rue entered my life, I've been doing a lot of travel. And until Rue entered my life, I thought hotels were decidedly uninspiring places no matter how hard they tried. 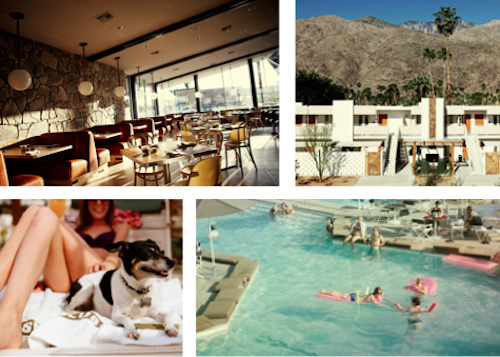 Then I met the Ace Hotel in Palm Springs and everything changed. If you follow the magazine on facebook, twitter, or our blogs, then you know that the Ace is pretty much our favorite place on Earth. It was our hotel of choice while shooting the 'Girls With Glasses Jingle Bell Rock' feature (remember that one?) and of course our home during the wildly popular wedding event, Hitched. Apart from feeling like you've slipped back in time to a stylish moment somewhere in the 50s, the Ace oozes with unforgettable design inspiration. And for a group of style lovin' gals, how could we ask for more? 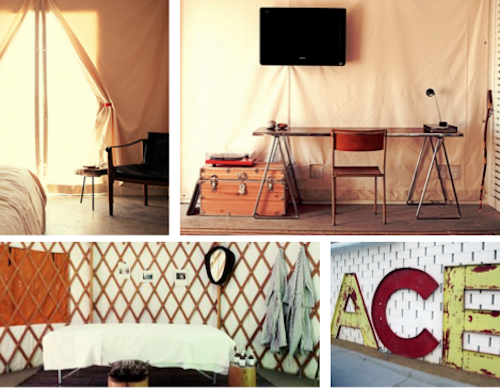 The Ace is rustic, retro and artsy - all things I don't have enough of in my daily life. So to slip away for a weekend at the Ace, whether for work or pleasure, always feels nothing less than the perfect little escape. For booking information, visit the folks at Mr. and Mrs. Smith! 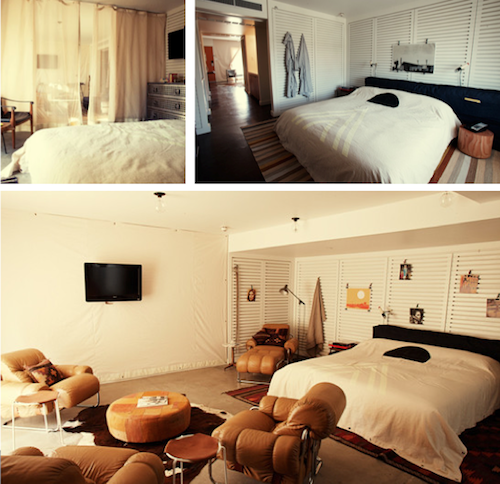 We've always wanted to check out the Ace Hotel -- it looks so cool we've been meaning to write a post on it, ourselves :) Hope you had a happy v-day! I have never been to the ACE in palm springs, but the one in Portland was pretty awesome. And a girl i know went to the Hitched event and that is when i found out they had an ACE in palm spring. I'll have to go it sometime soon because i'm only 3 hours away. I would love to collaborate with you at some point. I love your magazine, sooo happy to find you! PS- Would love to show my Luxe necklace line. Looks like a great place to stay if I ever make it out that way - always seem to be going in the other direction!! The Ace is the epitome of cool! Plus, their restaurant the King's Dinner makes the BEST brekkie around. You have to try the Chilaquiles (eggs with hot sauce and tortillas) which I must have every time I go to Palm Springs!